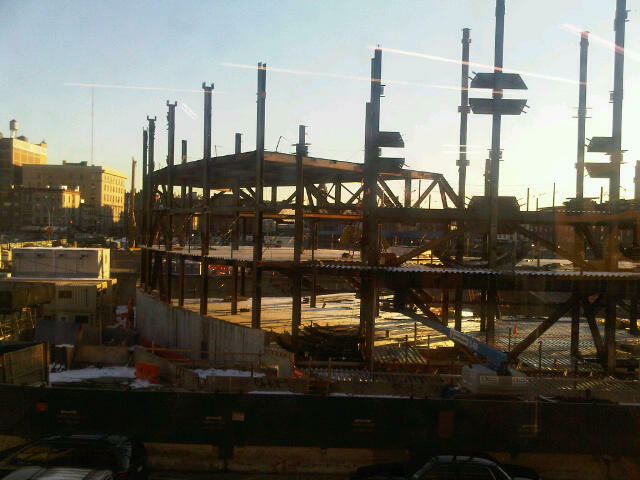 Building of the new sports stadium at Atlantic Ave & Flatbush Ave | Notary & Apostille Service, Inc. The Notary Public pass the new sports complex being built. Each day as I travel to do my Notary Public & Apostille work I see the New sports complex being built on Atlantic Ave & Flatbush Ave in Brooklyn, New York. On my travels to do my notary public & apostille work I see they have been working on building this new sports complex for several years. You can now see that the work on building the structure has started.